No Strings International (our sister company) based in the UK, is an experienced and dedicated team of aid coordinators. They have developed and run workshops in many different countries for over a decade. In the workshops, staff members from the commissioning NGO (non-governmental organizations) and their partners learn how to enhance the information in the videos using games, exercises and simple forms of puppetry. This training is then taken directly to the children. The trained staff also instructs the other teachers how to use the same videos, games and puppetry which expands and deepens the understanding of the core message. No Strings International delivers in-country workshops to allow local facilitators time to reflect and develop new skills, which will help them inspire deeper understanding around vital messages with children and young people. 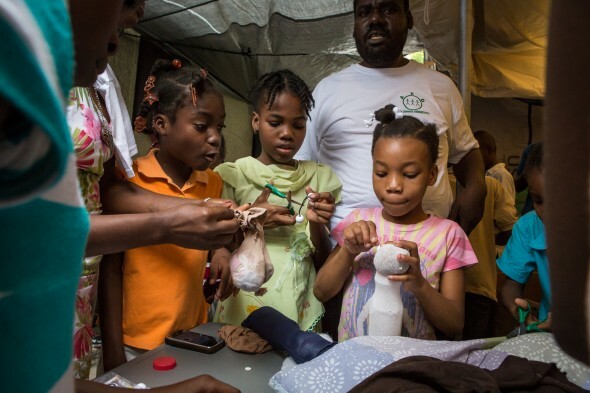 No Strings International does not just show children videos, we encourage children to develop their thoughts about key issues through their own puppet work and play activities. With the use of hands-on workshop activities, children are helped to understand and explore the messages in these videos. They get a chance to express their feelings as they make and perform their own puppet shows. This allows our facilitators and workshop leaders to pick up on any concerns the children may have so that they can address them properly. One approach is to introduce children to a particular puppet technique. 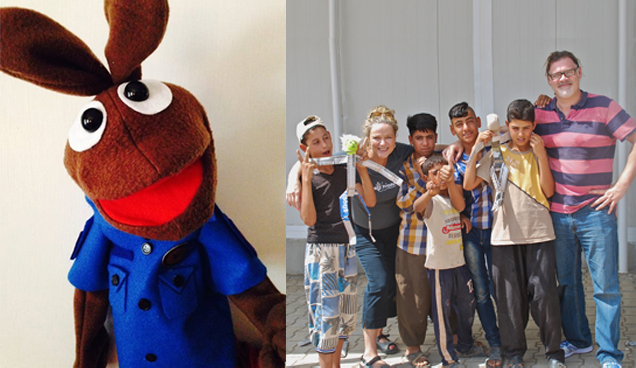 They might make their own puppets from items of trash, or hand puppets based on our No Strings workshop model. Shadow puppetry can be highly cinematic, and is popular with older children and teenagers. Group work is a favored method. A group might select messages from the film that resonate most, and create their own script. They use a form of puppetry to bring it to life (so the story is never about themselves), and other groups comment on what’s taken place. The facilitator then encourages deeper thinking around comments made. The idea is that they take a back seat, while the children themselves actively think, discuss, and apply the key messages to their own lives. In doing so, they teach themselves, and each other. During one-to-one work with a child affected by trauma, a hand puppet might just be there, for a child to hold for comfort. 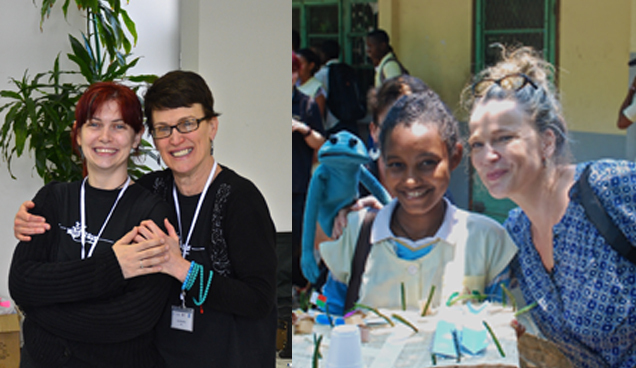 Our workshop team is comprised of two senior facilitators and two leading puppeteers. It’s demanding, but invariably fun and invigorating. Participants will successfully go on to deliver highly imaginative and powerful workshops of their own based on our model. This in-country training helps to share ideas with experienced outreach workers or senior school staff while empowering them to train their own colleagues furthering the reach of the program. Making puppets is a creative process that can quickly bring a character to life. For children and staff attending our workshops, building puppets is often the favorite activity, especially for those affected by difficult memories. This helps the participant to comfortably switch off from their troubles because they easily get absorbed in the fun and creativity of the puppet building process. For those participants who are not comfortable taking centre stage, puppetry can be an excellent tool because puppeteers are often hidden from view, allowing them to express themselves without having to be the focus of attention. Puppeteers tell stories in different ways, and make us see things from another perspective. It is a fun activity for teachers and outreach workers, who enjoy using these tools, sharing with colleagues, and making the program successful.